It has become a social norm to take a short vacation at every holiday opportunity. Even for the weekend, Maldivians now prefer a guesthouse or a resort. The places formerly special to tourists have now become special places to locals as well. Eid and school holidays or even an extended weekend would mean the guesthouses nearby would be packed along with the airlines operating to nearby countries. Maldivians have become adamant travelers. A short holiday is coming up in conjunction with the Maldivian Independence Day in late July, followed by Eid al-Adha and the year-end holidays about four months after. No shortage of people are already planning their trips for these holidays already. For them, a visit to the ongoing Vacation Expo at the National Art Gallery would be invaluable. The expo is designed for service providers in the tourism sector to give information to locals and tourists all under one roof. The stall of Bangkok Hospital at the Vacation Expo 2018. 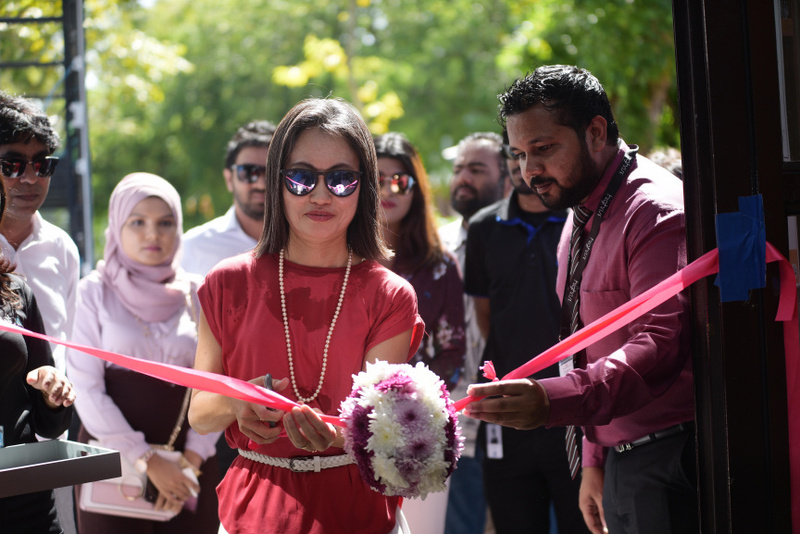 The Vacation Expo houses information ranging from the most popular guesthouses across the Maldives to the most popular destinations for medicine and education abroad. The expo also provides bookings and tickets to the most popular destinations among the locals at special rates. The stall of Sunland Travels at the Vacation Expo said that a special promotional fare is being offered for vacationers and students who travels abroad on Singapore Airlines. They are also selling special holiday packages and group packages as well. Sunland Travels is also offering a special price drop packages to those traveling to Malaysia, Indonesia and the Philippines. They have also offered a round-trip to Singapore on Silk Airways for one lucky winner among those visiting the Vacation Expo. 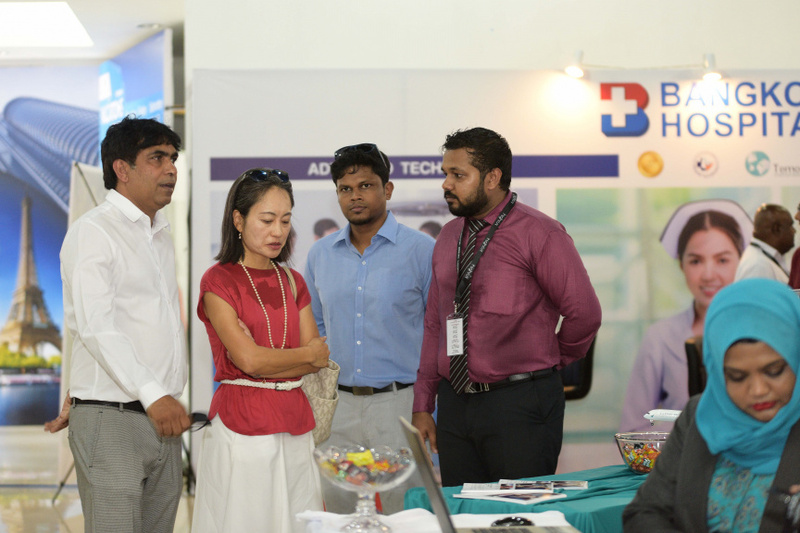 The Expo, this year, are also offering special prices to the popular trade, education and medical destination, Sri Lanka. And so booking tickets at the stall of Ace Aviation Services would give you a 30 percent discount. Ace Travels have offered 40 percent discount on Qatar Airways on all three days of the Expo along with a special promotion on Scoot Airlines for 23 destinations. Travelers who book their tickets on the promotion can travel until 15 November. Travelers who book their flights on the main airline of Hong Kong, Cathay Pacific, up to 15 July can do so at a special price and can travel until the end of the year. For those who wish to visit Disneyland in Hong Kong, Ace has set up a golden opportunity with special packages along with special promotional fares to Philippines and Mainland China. Principal Sponsor of the Vacation Expo, Inner Maldives is also offering special packages including holiday packages via Sri Lankan Airlines to Singapore from 15 July to 25 August where the plane fare and hotel fee would be arranged as part of the package. In the same period, travelers to Dubai can also get a holiday package where the UAE visa, plane tickets, hotel and a desert safari would be arranged as part of the holiday package. Inner Maldives are also offering holiday packages from 15 July to 25 August to Kuala Lumpur and Bangkok as well. Travelers to these two destinations would have their hotel stay and air travel on board Sri Lankan Airlines arranged as part of the package as well. Inner Maldives has an offer for those who wish to travel on a Cruise liner with five nights on Costa Cruise from Male' to Mumbai, India. Inner Maldives is selling special trips from December 2018 to March 2019. Offering tours to over 25 destinations, Tripverin is an outbound travel agent operating in the Maldives. They are selling tours to Europe and Asian countries with special discounts to those booking their travels at the Vacation Expo. This year, the popular medical destination, Bangkok's, Bangkok Hospital has also joined the Vacation Expo. They are assisting in completing forms for consultations and providing information on the facilities available at the hospital along with discounts at the Expo. An official at the Bangkok Hospital stall at the Vacation Expo said that the number of Maldivians visiting the hospital is increase almost daily and the hospital is working to provide Maldivian insurance services at the hospital. Their service center in Male' City, Medhope Medical Center, is providing information to Maldivians who are going to the Bangkok Hospital. The Tourism Authority of Thailand joined the Vacation Expo as a co-sponsor this year. Their stall at the expo are providing information on the best tourist spots, best shopping areas along with hospitals, cafés and restaurants. 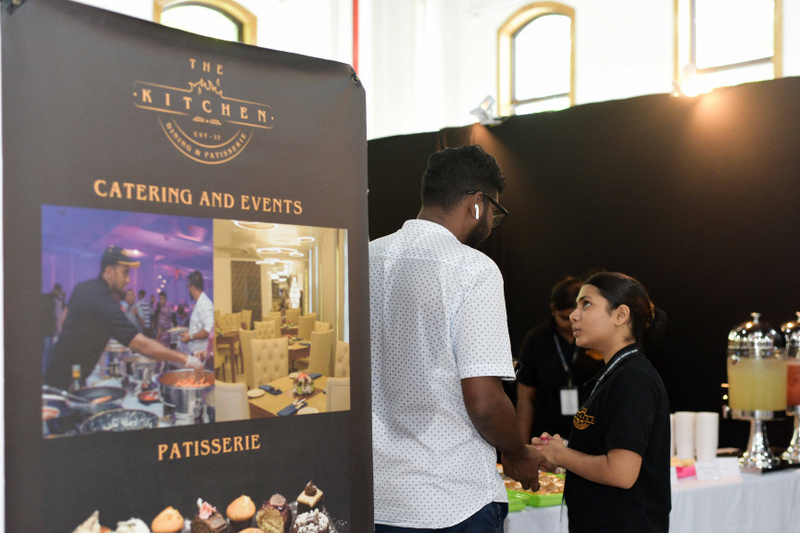 Malaysian Tourism Board and the Bhutan Hospitality and Restaurant Association are also taking part in the Expo with Malaysia offering the education opportunities and the stalls of both countries offering information to potential tourists and travelers. A lucky draw is being held among the visitors to the expo with the lucky winners being selected on Saturday night. The prizes include two Umrah trip sponsored by the Hajj Corporation and Al-Manasik Group, holiday packages offered by the guesthouses, round-trips abroad sponsored by Bangkok Airways, Singapore Airlines, Sri Lankan Airlines, Air Asia, Qatar Airlines and Scoot Airline along with holiday packages in Bhutan, Malaysia, Thailand and Singapore. Other draws are also set to take place among the visitors with a variety of prizes up for grabs including the special package by the Bangkok Hospital, Open Water diving course and an Insurance package offered by Allied Insurance. This is the third Vacation Expo organized by High Rise. They said that this year's expo got a tremendous support from the foreign companies and governments. This weekend, the National Art Gallery is a top of the list stop for those who want a vacation before the end of the year. The Vacation Expo will be opened from 4 pm. to 11 p.m. today (Friday) and from 2 p.m. to 11 p.m. tomorrow.